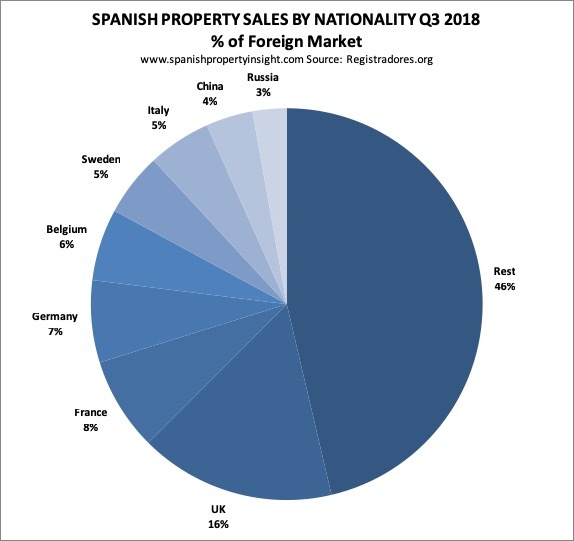 Foreign demand for property in Spain increased by 5% to 16,142 purchases recorded by the Association of Spanish Land Registrars between July and September, according to their latest report. 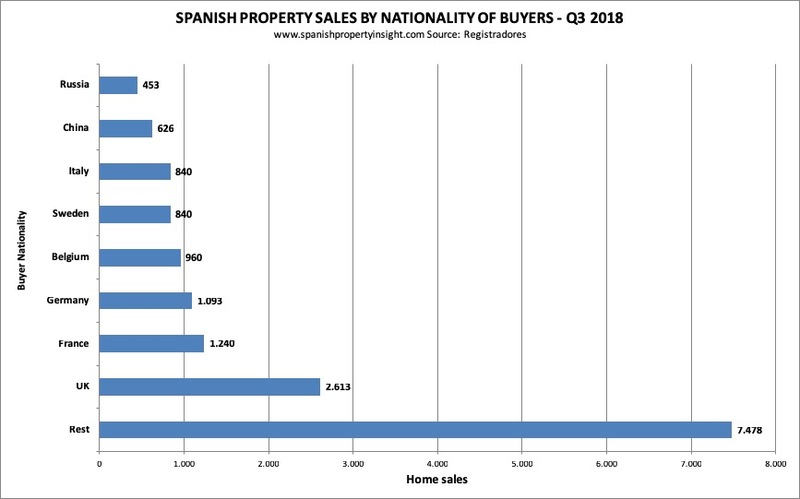 As a result foreign buyers were responsible for 12% of all homes bought in Spain during the quarter. The next chart shows annualised growth in foreign demand for Spanish property per quarter over the last four years. Q3 was the lowest level of growth in any quarter in the last four years or more. The overall Spanish property market increased by 11,9% with 133,295 sales recorded in the period, driven by a 12.8% increase in local demand. 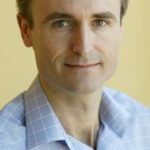 As a result of local demand growing faster than foreign demand, the market share of foreign buyers fell to 12%. 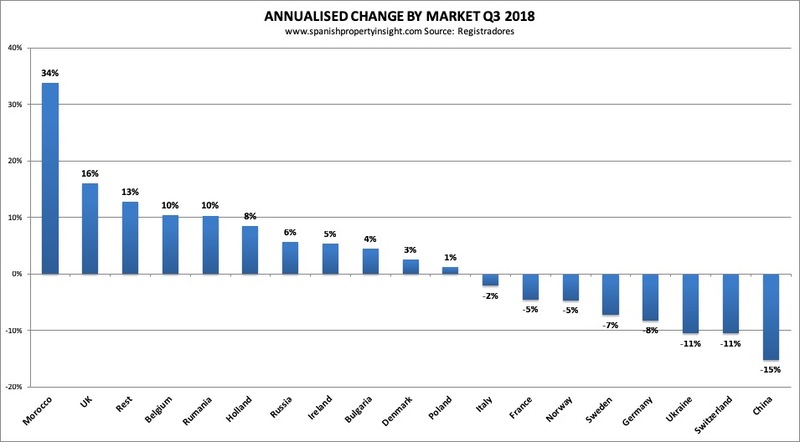 The biggest increase in demand came from Morocco, up 34%, followed by the UK, up 16%, suggesting that the initial shock of Brexit has worn off, and if anything left the British even more keen on property in Spain. The biggest fall came from China, down 15%, driven by factors I will discuss in a separate article. The 5% decline in French demand, and 8% decline in German demand, the second and third biggest markets respectively, explains the weak growth in overall foreign demand in Q3.